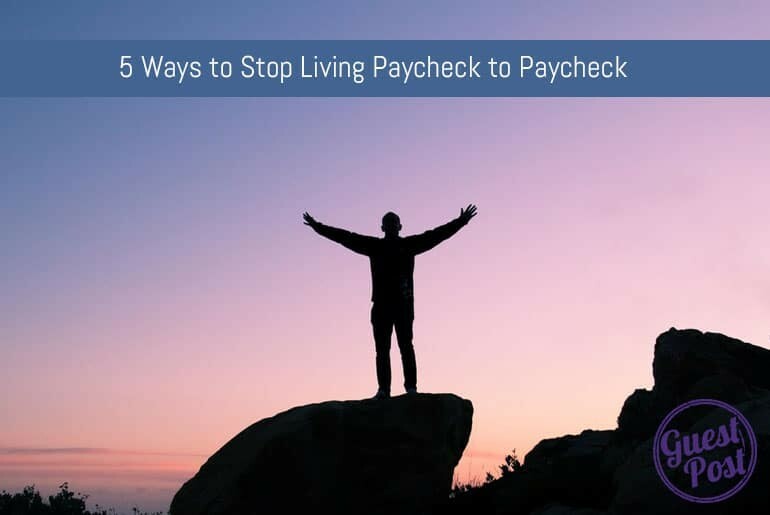 The economy is still in a state of fluctuation, and as a result, many people are still struggling to get ahead and stop living paycheck to paycheck. If you are one of these Americans that is still trying to adjust your financial situation and build a financial cushion so you don’t have to stress about your bills, the following tips should help you find financial peace. If you have a job that pays hourly, overtime may be a great option to help you earn some extra money. Sign up on the overtime list, or talk to your boss about working overtime or picking up a few extra shifts. Then apply the extra money you earn to your past-due bills, pay a few bills ahead, or stash the extra funds away in the bank to help you if there are weeks that you are a little short in the budget. If your current full-time job doesn’t allow you the opportunity to work extra hours or pick up overtime, find a part-time job that fits in your schedule. Delivering pizzas or other fast food is one of the best ways to make extra money. Plus, you take home tips and mileage nightly, along with your weekly paycheck from the employer. You can also pick up some shifts with a ride-share service or one of the gig-sharing websites and apps. If you have an unpredictable schedule at your regular job, see if there is something you can do from home on your own schedule. There are many freelance and consulting opportunities available, just make sure you do your research first and don’t get sucked in by a pay-for-hire scam that results in stealing your money and leaving you with no job. If you have a skill, such as small engine repair, sewing or crafting, cooking or baking, furniture refinishing or woodworking, or something along these lines, leverage your skill to create extra cash. Market your services to friends and family members, put out fliers at local grocery stores and other businesses that will allow you to use them for free marketing, or put an ad on local social media pages and groups in your area. Many people don’t have the time or skills to handle these tasks for themselves, so they will welcome the opportunity to pay you to handle these things for them. You can work on your own schedule and make extra money while doing something you enjoy. Go through your home and clean closets and drawers. Gather up all your unused and unwanted belongings and sell them. Gold, computers, electronics and other high-dollar items can go to auction or pawn shops. Clothing can go to consignment stores or online. Household goods can be sold at a yard sale. Or you can just have a huge yard sale, sell everything in lots at online or local auctions, or sell everything on local social media sales groups. This is a great source of money and will help you declutter at the same time. This is a difficult task for many people. If you are having a hard time meeting your financial obligations every month, take a look at your budget. Don’t have a budget? Make one. Account for every penny you earn and every penny you spend. Increased expenses and excessive debt can hurt your credit score. Cut out expenses that aren’t necessities for now – you can add them back in later once you are better off financially. You can check where you are at by contacting a financial planner or learning about sky blue credit repair options. Sometimes you have to make sacrifices in the present to have the life you want in the future. Use these tips to help you find your financial happy place. I thought I’d add a short conclusion here. Whilst I agree with all of the points that Kevin has made in his well thought-out post I’d like to point out a couple of things. Firstly, if you’re considering a second job to bolster your income it’s worth checking your contract of employment as some companies may require you to ask permission to have a second job, or ban it completely. Secondly, and more importantly I think, make sure you consider your work-life balance and quality of life It’s all well and good that you’re raking in the money but if you can’t enjoy it or are making yourself stressed and ill because of the amount you’re working then it maybe time to take a step back. What do you think? Any tips to help save money to pay off debts or have some financial freedom? Let us know in the comments. There’s also lots of frugality websites out there that can help you with your food shopping bills and how to keep them low.